"All aboard!" 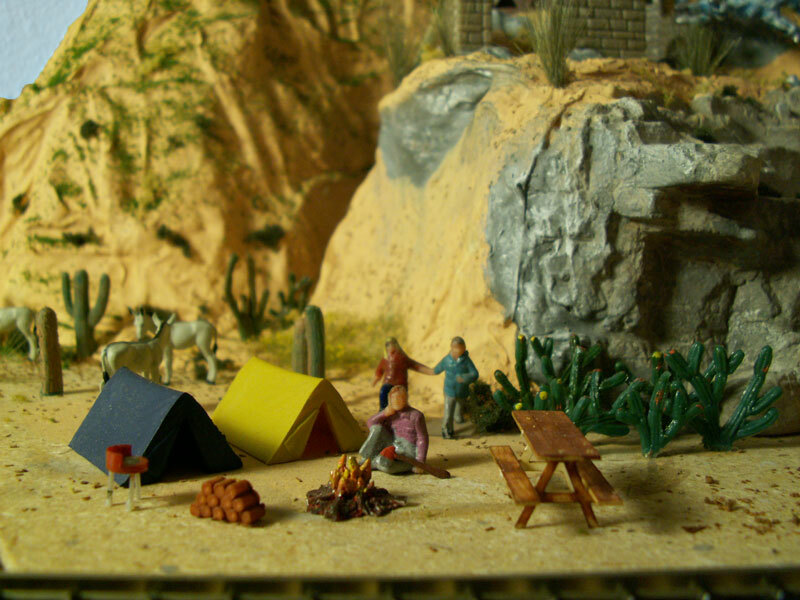 Welcome to The Lone Wolf and Santa Fe Railroad website. Every person who visits this site gets a free Electronic Rail Pass. The pass is good for one e-trip from Los Angeles to Chicago aboard the Southwest Chief. The scenic route starts in San Bernardino, snakes up Lone Wolf Canyon to Wolf Mountain. From the summit it skates across the high desert to Sand Mountain and down to Barstow. Your pass is at the bottom of this page. Enjoy the Scenic Tour. Click EAST at the bottom of each page to go to the next scene. at the summit for the pushers at the end of the train to uncouple. The L.W.S.F. is a HO scale 1:87 working railroad transportation system which was built with walk around operation in mind. 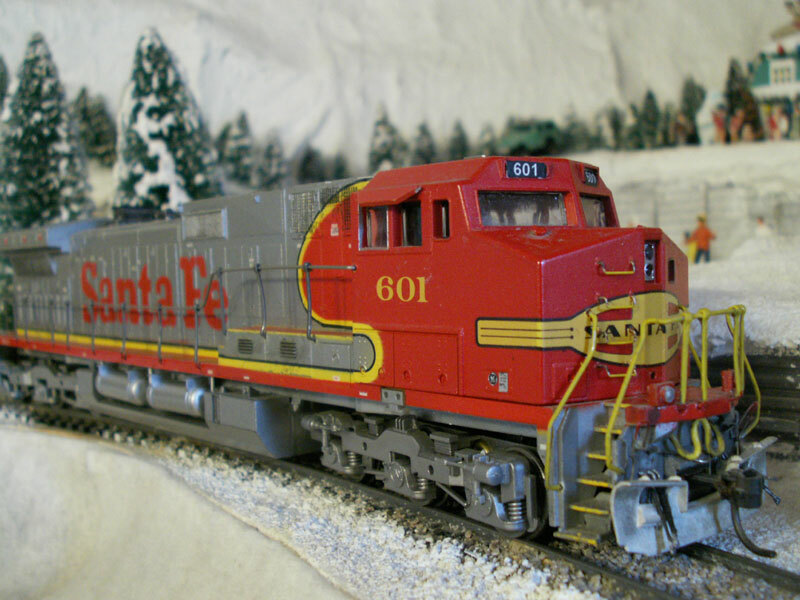 It has a schedule, train orders, car cards and waybills which guide you as you walk your train along the layout, up Lone Wolf Canyon and over Wolf Mountain. 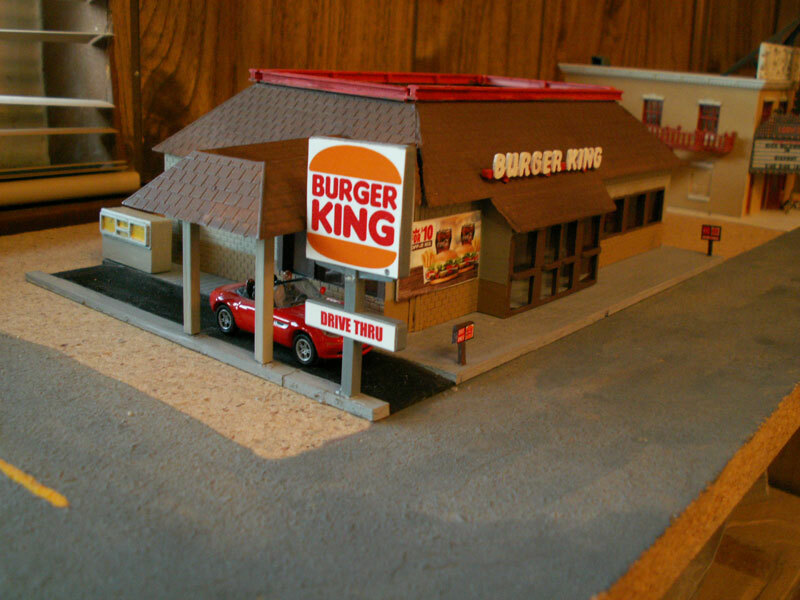 But there is another side to model railroading other than operation, the artistic side. This includes scenery, lighting, and sound design. 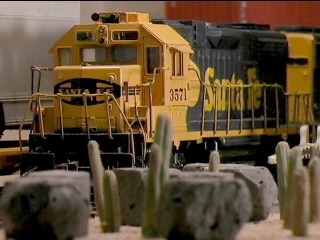 At The Lone Wolf and Santa Fe Railroad we believe that model railroading is an art form and like to create scenes on the layout. After all, "All the world is a stage." Along with the detailed locomotives and weathered freight cars, there are hundreds of people and animals, cars, trucks, motor cycles and bicycles. They all play a role in bringing life to this miniature world. 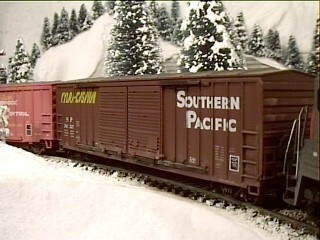 Rail Height 56" to 66"
Woodland Scenic ground foam and trees. The time of year changes depending on the location. Seasons change along the route with the elevation. It's summer in the desert and winter in the mountains and somewhere in-between all along the way. Some scenes represent holidays, including The Fourth of July, Halloween, and Christmas. The Lone Wolf Railroad was started with government subsidies during the California gold rush of 1849. It operated on the eastern side of the Sierra Nevada mountain range and in the mineral rich desert. It was centered in the town of Lone Wolf, a fictional town located on Wolf Mountain, on the mountain pass between the costal valley and the inland desert. It is named after the only wolf left in California. The railroad got rich off of lumber from the mountains and minerals from the desert. It connected to the Santa Fe in southern California. The mill closed in the 80s. 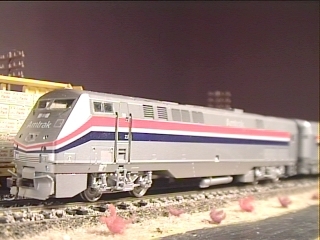 (It was modeled in the 1970s version of the layout.) The mines however are still flourishing from the mineral rich desert. In the modern economic boom of the 1980s the railroad bought out the Santa Fe, becoming the Lone Wolf and Santa Fe Railroad. 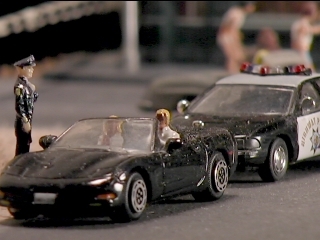 Ever since The California Highway Patrol arrived on the layout, strict vehicular code enforcement has been applied. There are numerous motor vehicles of all shapes and sizes and they all must meet a certain standard. Meet Hobo Joe! He is a colorful character who rides the rails for free. 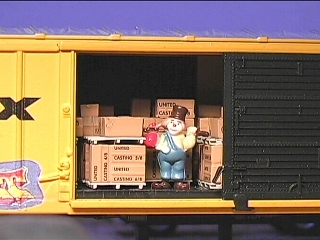 He is not a bum, he is a railroad enthusiast and likes to travel in style. He loves the simple things in life, like eating a meal cooked over an open fire and sleeping under the stars each night while he sees the country. Click on the Arrow pointing east to begin the scenic tour. Click East-> on each page to get a grand tour of the railroad as it heads east up over Wolf Mountain. Take the Scenic Tour. Visit areas of the layout from West to East. They include industries and holiday scenes. Click EAST at the bottom of each page to go to the next scene.